Former Trump campaign manager Corey Lewandowski has been dropped by his speakers bureau after dismissing the story of a 10-year-old girl with Down syndrome who was reportedly separated from her mother after crossing the border illegally, CNN has learned. Leading Authorities, Inc., one of Washington DC's top speakers bureaus, severed ties with Lewandowski on Wednesday, a source familiar with the matter said. His name no longer appears on the bureau's website. Speakers bureaus like LAI handle speaking gigs for notable political and media personalities, which can be a lucrative business. Speakers can net five- or even six-figure checks for one engagement. Matthew Jones, the bureau's chief operating officer, did not respond to phone calls requesting comment. Lewandowski also did not respond to several phone calls. Lewandowski has drawn widespread criticism for remarks he made on Fox News on Tuesday. 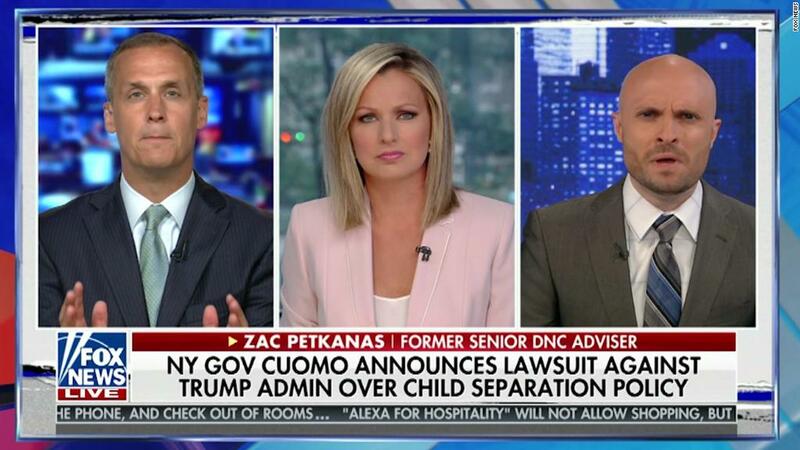 When former senior Democratic National Committee adviser Zac Petkanas talked about "a 10-year-old girl with Down syndrome" who had been "taken from her mother and put in a cage," Lewandowski dismissed the anecdote, saying, "Womp womp." Lewandowski refused to apologize for the remark when asked about it on Fox News Wednesday morning. "An apology?" he asked. "I owe an apology to the children whose parents are putting them in a position that is forcing them to be separated?" President Trump signed an executive order on Wednesday that will detain families together as they attempt to enter the United States illegally, but the fate of at least 2,300 children already separated from their relatives remains uncertain.